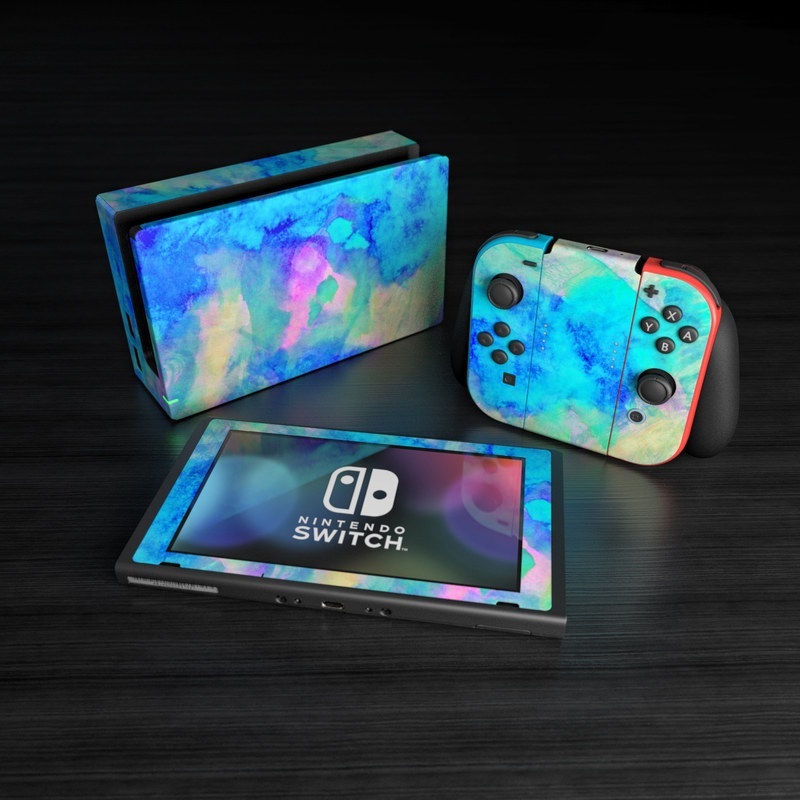 Remember, we offer over 1000 pieces of art as skins for your Nintendo Switch. Great quality of the materials. I recomend it in sattin, but I have other devices in matte and looks great too. That designs looks elegant and chill. Fits perfectly and gives my daughter's switch a very cool look! I ordered this May 30th and received it today (June 4th). There was no damage to it because it came in a hard cardboard envelope. Its a really cute design and the finish feels really nice (I got the matte one). The only issue I had was placement, as its not 100% the same size as all the parts. What I mean is I could get it centered perfectly on one side and it would slightly cover areas on the other side that are supposed to be visible (the little lights on the controller). I also struggled with lining sections up to match on certain pieces but this may be a practice thing. I will definitely be looking at purchasing some of the other designs for my other consoles! Fits great over Switch and controllers, and no issues using on top of screen protector for the tablet part. Who needs a Switch Neon when you can jazz up a Switch even better! Perfect fit. Perfect adhesive, great quality. Perfect! Blends in perfect with my white furnishings. If u like Retro. I recommend it!! Looove this on my switch and makes the dock really pop! I Like the way it looks! Very nice! OOOooo, I like! Very calm and colourful! Just looking at it makes you feel a little colder. I don't even have this but it's glorious. I can make my switch look like toast. I never thought that I would be able to say that, but alas: THIS! Check that video putting on the skin. It looks great! Thanks DecalGirl for the quality of your products. I just received my Toastendo skin for my Nintendo switch and I AM IN LOVE!! It’s perfect and extremely easy to put on. Highly recommend and will likely buy from here again! Fit perfectly, was easy to install, feels great and looks awesome! Beautiful, vibrant print and surprisingly effortless to apply! 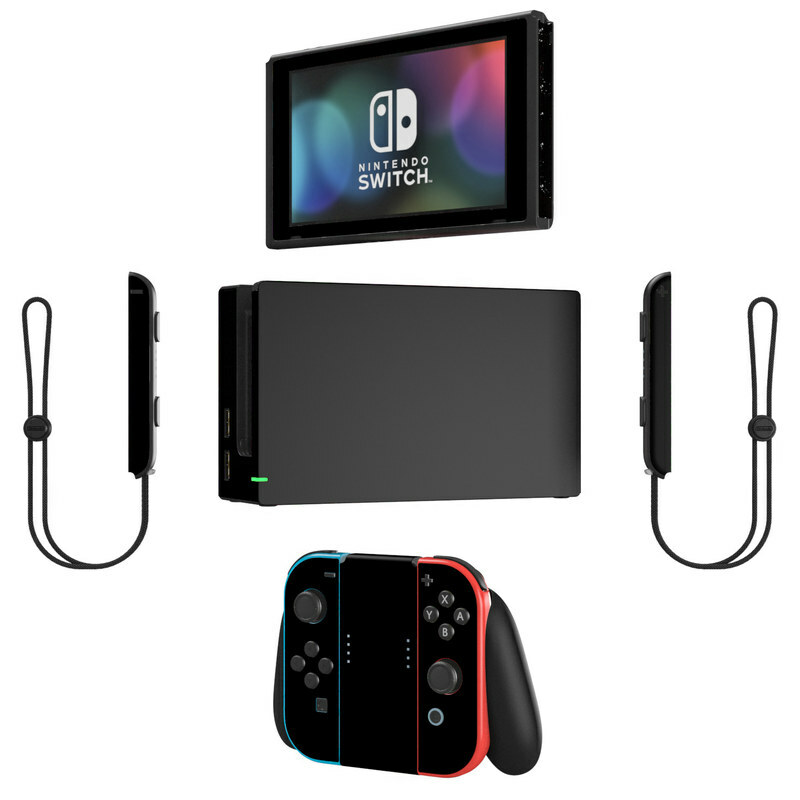 My Switch looks so incredible that I just put in another order for some of my other devices! Was really apprehensive buying this at first, but now that I have it it looks great. 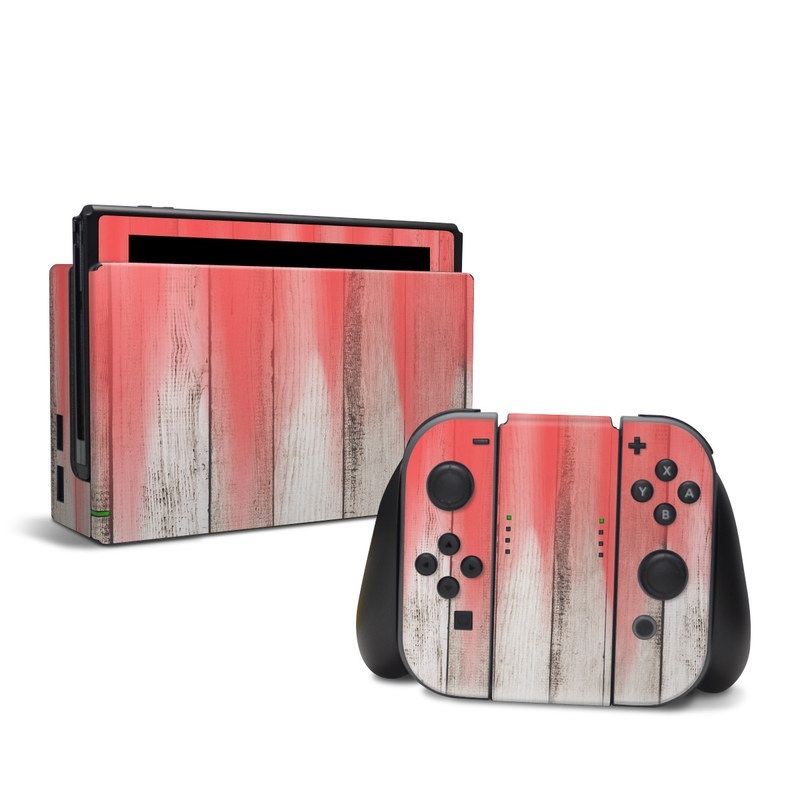 I wish the switch skins had something for the backs of things as well and maybe for the sides of the controllers, but I really cannot complain it looks great and the matte finish is really fresh. Looks like it came out of the box like this. 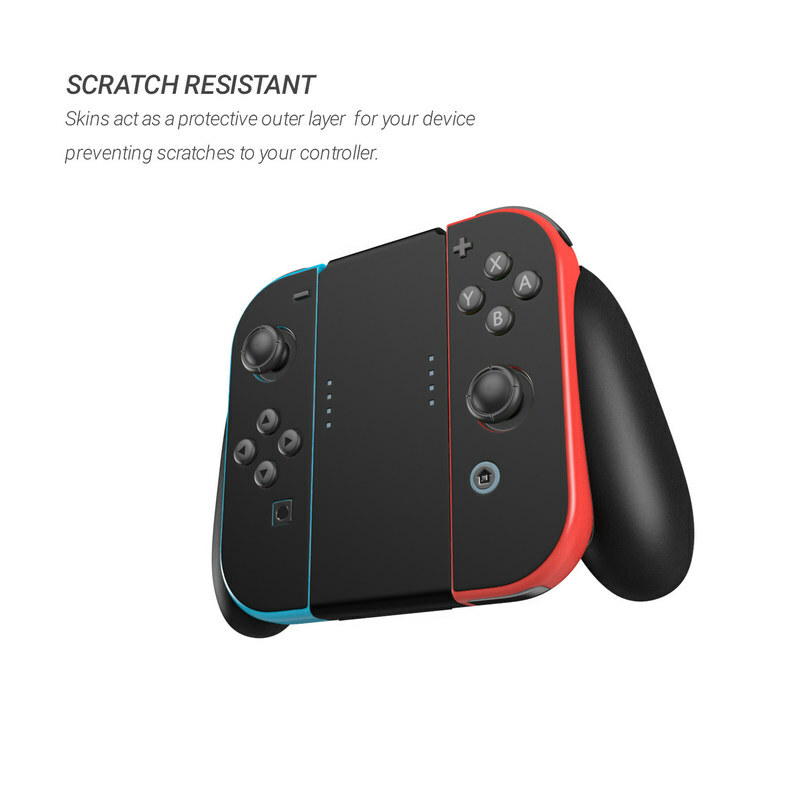 There are some great and some disappointing aspects of the Switch skin layout. 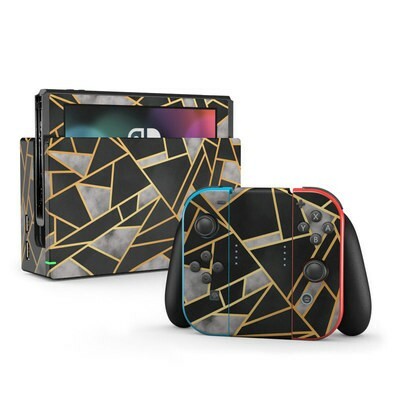 The skin for the Joy-Con controllers’ top is perfect, and they include skins for the top and bottom of the Joy-Con strap add-on, which is awesome. The portion of the skin covering the main Switch is more disappointing. It is for the front only, not the back. 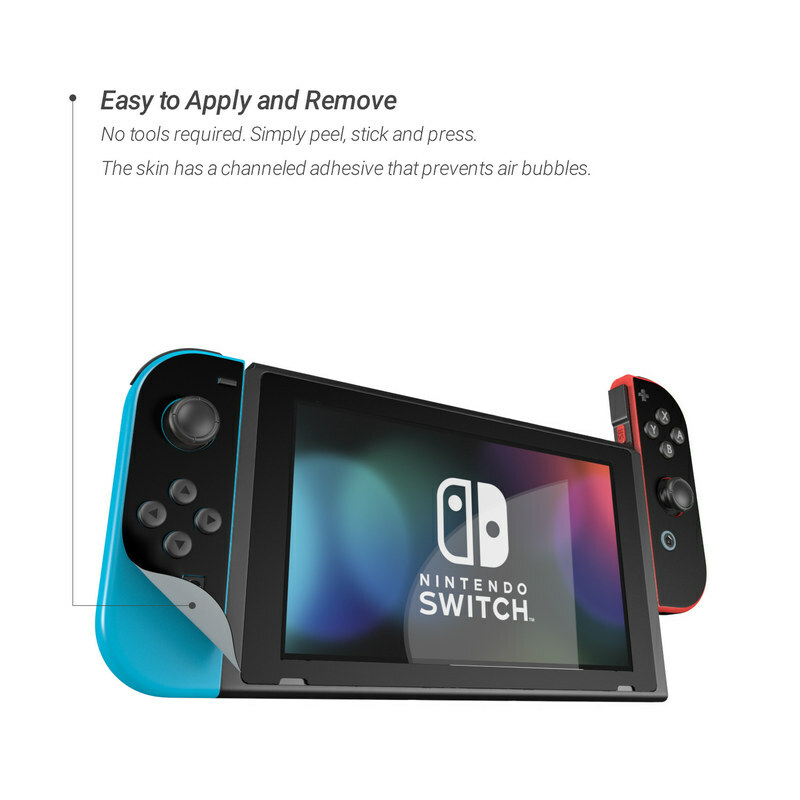 The skin fits well around the screen itself, with appropriate cutouts for the speakers, but does not extend as far out as would be ideal, so there’s a non-skinned border between the Switch skin and the Joy-Con skins. 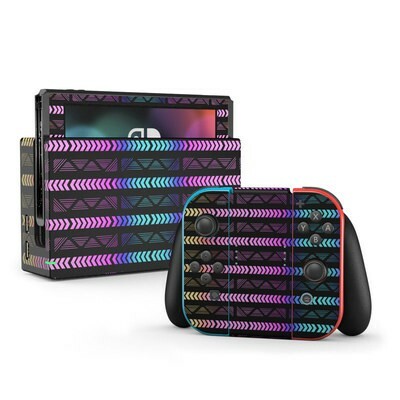 The other thing that would be ideal is if you could buy Joy-Con skins on their own, and it would also be great if the Joy-Cons had a skin on their back. On the plus side, the skin on the Grip goes great with the Joy-Cons. Note, it’s for the non-charging grip, not the charging grip (although you could use a knife to make a cutout of your own if you use the charging grip. It was a bit tricky to apply the skin to the main Switch, but the Joy-Con and grip were easy. It’s an amazing way to personalise a Nintendo switch no damage made from it, I would definitely recommend it to anyone who has one. Everything was perfect with this decal. It went on smoothly and was cut perfectly. It looks amazing on, so fun and cute! I liked it better with the teal joycons but it works with the red well too! It was exactly what we expected and my daughter loves it! Super fast shipping too! The colors and details are absolutely fantastic! I adore how it looks on my Nintendo Switch. Keep in mine that this skin does not cover the back of the console or the dock. 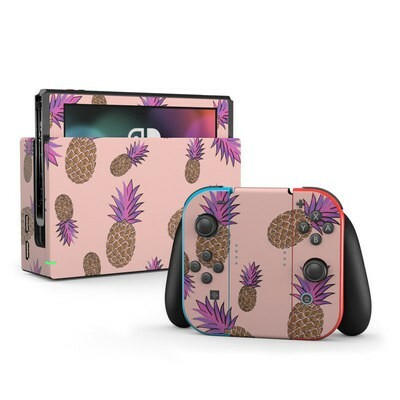 Beautiful skin on my Nintendo Switch! Looks great on my switch! mine didn't come with the console sticker though, just for the controllers. The color was exactly what I wanted and most of the pieces were very easy to apply. The piece that goes around the screen was more difficult to keep straight, and I ended up with a small fold on one of the corners; nothing terrible, just slightly annoying. Overall though, a good decal set. The blue isn’t as bright as the picture makes it look, but it’s still a pretty skin. Mine in particular wasn’t cut as well as I would’ve like it to be, the screen one when matched up on one side ended up being short on the other! I also thought that the front skin would cover the edges where a screen protector wouldn’t but it just fits over my glass screen protector! Overall it’s a pretty decent skin but I’ve also had to order a separate clear skin for the back of my switch. 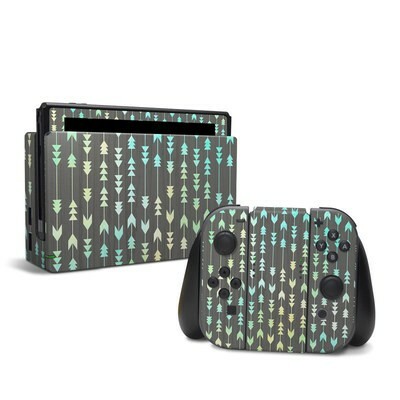 I know there has been some issues with skins and the backs of switches but I figure if decalgirl skins can go on the joy cons then the back of the switch should be an issue! I’ve always loved this company and it’s the first place I go to skin my gaming systems but this time they didn’t quite hit my mark of 100% satisfaction! 2nd skin ordered. Will order even more. Great designs and material. BEAUTIFUL!!! Can't wait to see the other skins that I can buy from this site because I most definitely will because of the elegant designs! I truly and honestly amazed at this Skin! I can't wait to try it on my other consoles because this one is the one for me!!!! Beautiful design and fits perfectly on my Switch! It fitted perfectly with no bubbles. I would recommend. Husband loved it! Looks so cool!